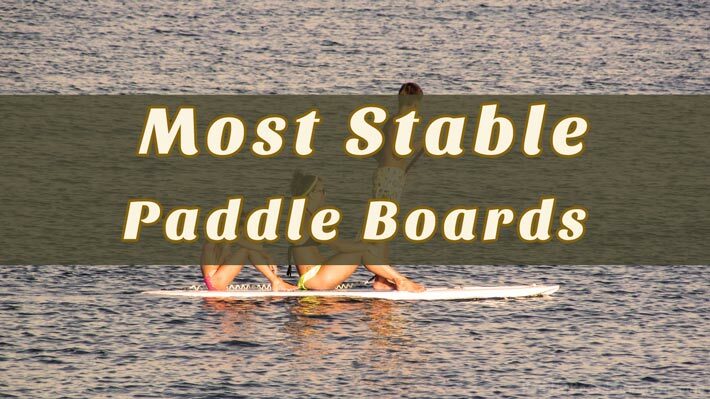 Want to be certain that your first paddle board is a stable one? With all the different colors, brands, sizes that paddle boards come in, trying to find the perfect board for an amateur rider is not so easy. Of course nobody wants a wobbly board, but you may not even realize that the pretty pink board you’re about to purchase isn’t going to be much fun in the water. You’ll have to work way to hard to stay balanced. Worse yet, you might spend more time falling off an unstable paddle board rather than taking in the sites. 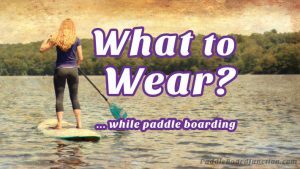 Let’s get you on perfect footing in choosing one of the most stable paddle boards on the market! 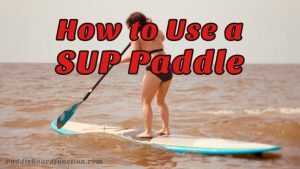 Stability is essential when purchasing a paddle board: there’s no reason to spend your money on a SUP that is just going to leave you slamming into the water face-first every time you try to adjust your feet. This board is perfect for a relaxing ride on calm waters. 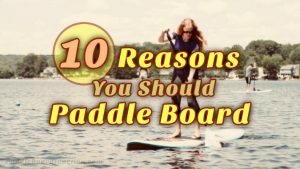 From those who are just beginning their paddle boarding adventures to those who are a little more advanced, this board is the one for you. The structure of this SUP is what really makes it incredible. It’s constructed from EPS foam, making it extremely lightweight and easy to carry despite being a solid board. But don’t be fooled by the foam exterior, because this paddle board is still extremely durable and meant to be really stable. Built with polyethylene underneath, the board moves smoothly in the waves. You’ll be able to maneuver through any obstacles that come your way with ease and comfortability. The true stability of the board comes from the placement on the fin: directly in the center. This keeps riders completely balanced with no worries. It also contains two additional areas to set up a tri-fin system to ensure maximum stability. With a 100% waterproof core, this board is invincible from any wear and tear. That incredible, stable board that you love will stay exactly how you want it no matter how often it’s used. The California Board Company board measures at 10’6” in length by 31” in width with a thickness of 5.25”. 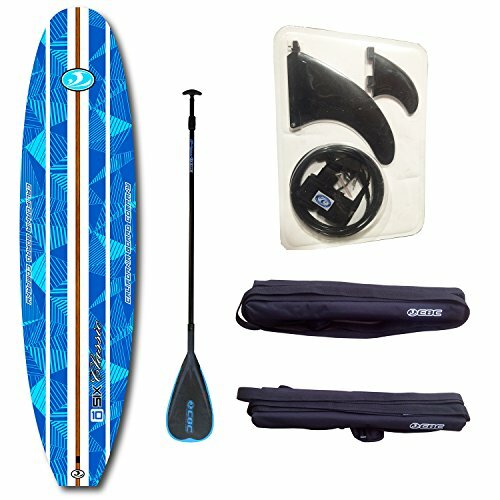 This bright blue SUP is easy to handle, at a light weight of 25 pounds, and can carry about 300. ISLE paddle boards are always known to be extremely reliable for riders of all skill levels, and this one is no exception. The structure of this SUP is similar to the previous one, with an EPS core and triple wood stringers that ensure total stability as you’re riding. This board is also perfect for those who are looking for a stable, yoga board. Its soft top is constructed from polyurethane foam to provide comfortability as you’re practicing those difficult poses. 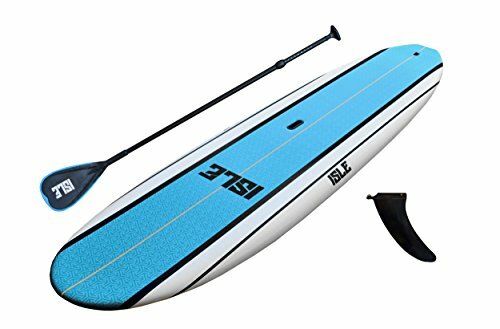 Soft top boards are an ideal purchase if you’re looking for a SUP that all members of the family can share, since it’s suitable for a variety of age groups. Whether it’s your child or your parent who is new to paddle boarding, everyone is sure to be satisfied and safe. The ISLE Classic Soft Top comes in two sizes: 9’6” in length and 33” in width OR 10’8” in length and 31” in width. Although both boards offer excellent stability at 5” thickness, the extra width delivers that little extra balance that you may be looking for. 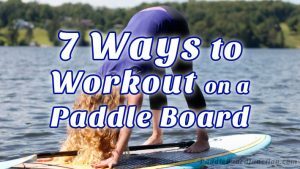 The paddle board weighs 27 pounds and can hold up to 275 and then some if you’re experienced! This uniquely styled SUP even comes in more than one color too. It is popularly seen in light wood, but it is available in a blue/white style as well. The Tower Adventurer proves those who are anti-iSUP wrong by providing the same (if not superior) durability as any hard-board currently available on the market. It is built to be extremely sturdy, with military-grade PVC and drop stitch construction that results in an almost indestructible board. The board’s tough structure enables complete stability no matter where you take it. From lazy lakes to raging rivers, the iSUP can withstand all environments. Even though inflatables are usually suitable for strictly beginners, the Adventurer’s durability can compete with more advanced riders who are looking for a challenge. It also has 2 permanently attached fins along with an optional retractable third fin if desired. You’ll be sure to stay on your board and out of the water with this paddle board. 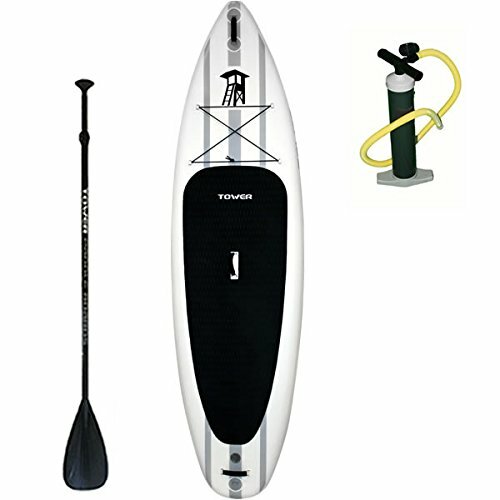 The Tower Adventurer is available in white and measures at 9’10” with a 6” thickness to provide optimum balance. At 25 pounds, it’s the lightest of the Tower brand, and it can carry a whopping 350. Take your family, friends, and maybe even your pet to experience the unbelievable journey this board will take you on. All three offer stability that is incomparable to other SUPs. They’re made from extremely durable material that will allow users to continue to use their favorite board for years to come. If you’re looking for a board that’s best for beginners, the CBC and the ISLE Classic Soft Top are the best choice. They present the stability you want with a cushioned top that is excellent for people who are still learning the ropes. The ISLE Classic Soft Top could also be the ultimate investment for those yoga boarders who want guaranteed stability as they practice their downward dog. The Tower Adventurer is the ultimate deal for more experienced riders. It will survive in dangerous conditions and since it can carry more weight than the previous boards, you can bring your equipment or even a friend. And even though all these boards are a steal, this one will be the kindest on your wallet.